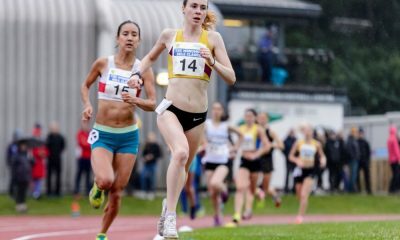 The British international was joined by Verity Ockenden in the top 10 at the Cross Internacional de Itálica, while there were fine runs in Houston, Belfast and Chepstow too. 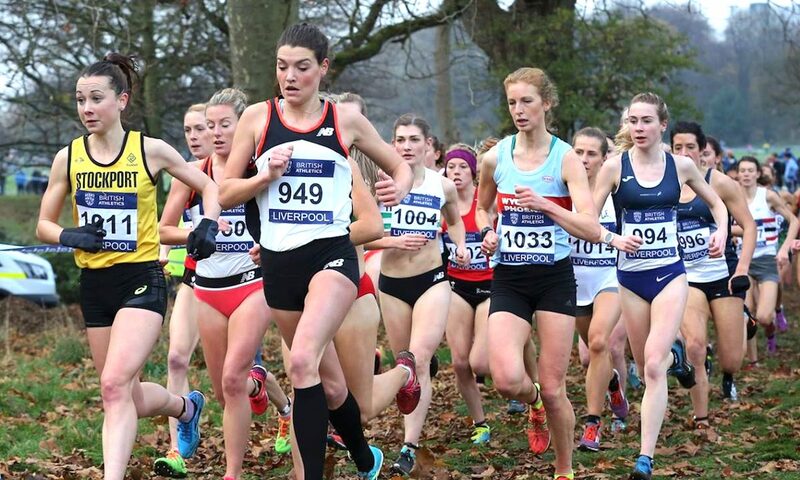 Emily Hosker-Thornhill and Sam Stabler took maximum British Athletics Cross Challenge points in Northern Ireland as athletes battled for top honours in a race which headlined as the NI International Cross Country. The event, which also incorporated the Home Countries Champs and the Celtic Games, saw fine performances by British and Irish athletes in the Belfast edition of the cross challenge series. Read the full report here. Across the pond in the US, Dewi Griffiths posted one of his best ever performances over the half marathon in Houston (January 20), clocking 61:44, while Tracy Barlow was also in promising form in the Texan city, recording a 73:03 result. Ireland’s Stephen Scullion ran a scorching 2:14:34 PB while Natasha Cockram also scored a lifetime best of 2:34:18. To find out all the results and times from the Houston Half Marathon and Marathon click here. 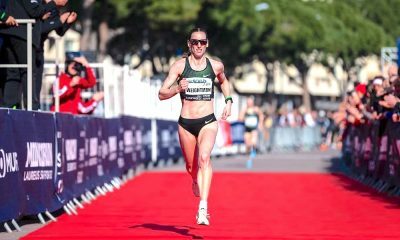 There was more international action at the Cross Internacional de Itálica in Spain (January 20), with Jess Piasecki and Verity Ockenden excelling to finish seventh and eighth Brits in a highly competitive women’s field. Former Kenyan Yasmine Can was first European for Turkey in third, behind Kenya’s Beatrice Chepkopech and Uganda’s Stella Chepsang. Lucy Reid and Lily Partridge ran together for much of the race, eventually finishing 17th and 18th respectively just seconds apart. Intriguingly, British ex-pat Charlotte Cotton also competed in the 9.1k race, finishing in 34th place in a decent 35:15 for AD Maraton Madrid. Southampton’s young star Mahamed Mahamed was the only British athlete to finish in the men’s race, finishing a strong 16th amongst a field headed by Uganda’s Jacob Kiplimo and Joshua Cheptegei, with Bahrain’s Albert Rop in third. Heading indoors to the Cardiff Met New Year Non Thomas Open on Sunday, Jamie Webb achieved the 800m qualifying standard for the European Indoors with a 1:47.63 performance. 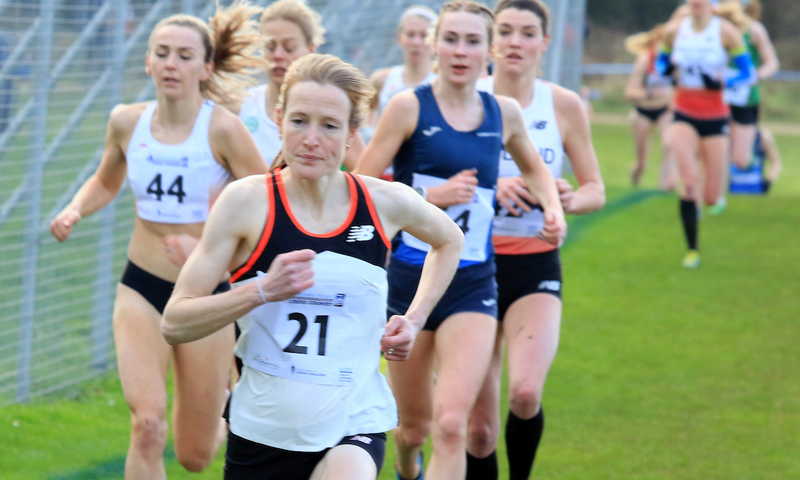 Just two week’s ago the Liverpool Harriers’ athlete stepped up in distance and posted a 1500m PB of 3:43.59 at the BMC Grand Prix in Sheffield. Elsewhere at the National Indoor Athletics Centre meet, organisers brought together a strong field for the men’s 3000m open race. Shaftsbury’s Kieran Clements took the win in a superb 7:55.11, however narrowly missed on the GB’s mark of 7:55.00 for the European Indoors. Aldershot’s Jonny Hay finished second in 8:00.88, while Ireland’s Jon Travers achieved the Irish standard for European Indoors with an 8:01.04 performance. 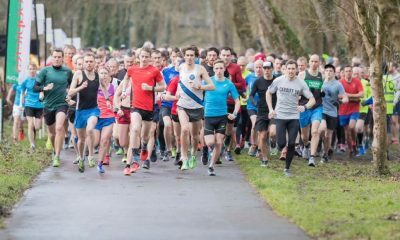 The relatively new kid on the block for encouraging fast and furious British racing on a back to basics level – cheap entry, fast course, no faff – the Speedway 10k in Chepstow (January 20) provided a super speedy race for all concerned. Birchfield Harriers’ Omar Ahmed and Swansea’s Caryl Jones were first across the line respectively, with Ahmed running a big PB of 29:17 to blow the rest of the men’s field away. Cardiff AAC provided the rest of the podium prize winners, with Jake Smith in second with 29:45 and last year’s winner, Welsh international Matt Clowes, just two seconds behind in 29:47. The race saw one of the strongest 10k fields assembled by an event of this size, with Matt Bergin, Tom Merson, Stuart Spencer, Phil Wylie and Ieuan Thomas making up the top 8 in a stacked men’s competition, all of them bowing well under 31 minutes. Caryl Jones enjoyed a very tight finish to the women’s race where she just held off Preston Harriers’ Elsey Davis by one second, Jones winning the battle in 33:30 to Davis’ 33:31! 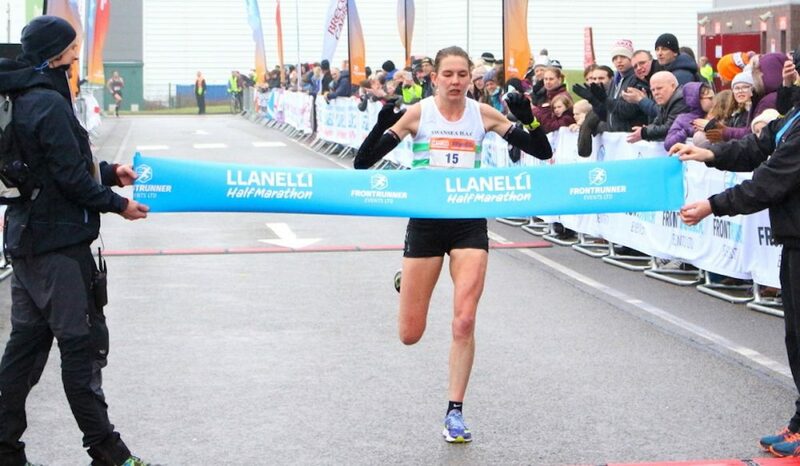 While Parc Bryn Bach’s Lauren Cooper may have been nearly three minutes behind the two internationals, her time of 36:28 is still a PB for the Cardiff Uni student by 55 seconds. The top 11 women broke 40 minutes. The women’s race at the First Chance 10k in Exeter (January 20) proved a competitive affair, with the first four ladies well under the 39 minute mark. Tiverton’s V40 Serane Stone took the top honours by some margin, though, in a fine 37:07, while Cambridge & Coleridge’s Susannah Reid (not that one) made the long trip from home worthwhile to finish second in 38:25. Exeter University AC’s Nikita Steiner was never far behind in third with a 38:33 result. It was a case of age over youth in the men’s race as Tavistock Run Project’s V35 Jim Cole won from Exeter Uni Tri Club’s Tim Gordon by a convincing margin, Cole’s 32:27 trumping Gordon’s 33:13. Bideford’s James Pugsley’s 33:39 was just enough to hold onto third. The Four Villages Half Marathon at Helsby (January 20) saw some classy winning times from Liverpool’s Kirsty Longley and Mohammad Abu-Rezeq on a bright but cold winter’s morning in Cheshire. Longley continued her fine form which is stretching on for an impressive amount of time when she took the women’s top prize in 78:08, a new PB by 18 seconds for the V40 ace. She had decent competition in Helsby’s own Hannah Cowley, who ran an astonishingly big lifetime best of 79:53, beating her previous PB from last year by 17 minutes! However, her 5k and 10k bests of 18:02 and 36:58 seem to indicate her form more accurately than that wayward Chester half time from last April. Shrewsbury AC’s Sara Willhoit took third in 80:40, making this a must do race for anyone looking for a fast time next January. Winning the men’s race by over a minute was Altrincham’s Jordanian national Abu-Rezeq. 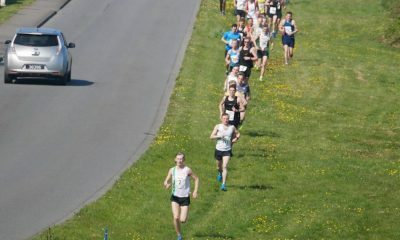 His time in victory was not a PB but still a fine 66:38. Second place went to Steve Jones-coached Michael Kallenberg from Cardiff, who ran 67:40, while Sale Harriers’ Nicholas Barry was some way back in third in 69:20. Interestingly, Kallenberg’s wife, Hannah, proved he’s not the only fast runner in the household when she ran a useful 85:23 for eighth. Over in the normally flat lands of Cambridgeshire, the ever popular Folksworth 15 saw wins for BRJ’s David Hudson and Herne Hill Harriers’ Jordan Foster on an unusually hilly route for the county (January 20). Hudson’s time in victory was a storming 79:54 which meant he had a very lonely time of it, finishing more than four minutes ahead of his nearest rival. Skegness & District’s Mark Sands posted a 84:04 result for second, a decent run for the V45, while Helpston Harriers’ provided the third podium prize winner in Michael Channing, who was himself well clear of fourth in 84:53. Foster’s victory in the women’s race represented her fastest time on the course by 14 minutes. The fast improving endurance runner has clocked impressive PBs over the last 12 months, including a 17:47 parkrun just yesterday, and a 2:58:37 marathon at last year’s Swiss City Marathon. The Herne Hill Harrier ran 95:44 to win at Folksworth from another in-form athlete, Ramsey’s Lisa Marriott, whose time of 96:54 also shows great strength and determination on a tough course. Third place went to March AC’s Toni Alcaraz in 98:55, locally known as the pocket rocket on account of her diminutive size. The Scottish East District League at Livingston provided some fiery results for the Scots battling sub-zero temperatures on Saturday (January 19). Central’s Morag Millar took the top honours in the women’s 6.4k race from Falkirk’s Freya Ross, their times 22:35 and 23:42 respectively. Hungarian national Fanni Gyurko took third in 23:44. The brilliantly named Hunters Bog Trotters saw their own Sam Fraser just hold off Cosmic’s Alex Chepelin by six seconds, with Fraser taking the win in the 9.6k race in 30:21 to Chepelin’s 30:27. A ‘K. Wood’ from Fife AC was third in 30:32, although his full name was not available and his details are not yet apparent on the Power of 10. In no doubt challenging conditions, the Carlisle Resolution 10k saw wins for Mark Walsh and Fiona Todd in the Cumbrian hills on Sunday (January 20). Netherhall AC’s Walsh took victory in 32:07, more than a minute and a half clear of second placed Jonathan Cox from Eden Runners, who posted a 33:40 result. Cox’s club mate Jack Eyre joined him on the podium in third with a 33:47 clocking. Border Harriers’ Fiona Todd was a worthy women’s winner in 40:20, the V40 well beating NBRC Keswick’s Louise Winter, the fellow V40 running 41:56 for second. Third place went to Derwent AC’s Liz Watson, who ran 42:09. In this week’s parkrun top ten, Paul Martelletti and (unofficially) Hayley Carruthers ran the fastest times, 15:12 and 16:26 respectively. To catch up on the full weekly UK parkrun round up click here.